Located in the heart of Klong Khong in a small villa complex estate, the 4 bedroom villa Serena allows maximum of 8 guests to stay. 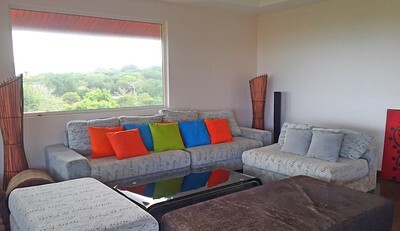 The villa is built on 2 levels including four bedrooms, all with ensuite bathrooms. There is a private infinity pool with terrace. 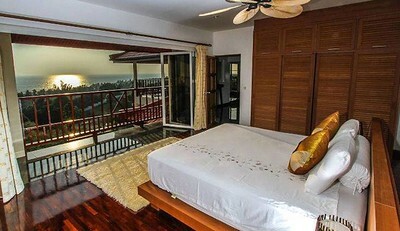 The master bedroom is on the upper floor and without a doubt the most grandest of bedrooms allowing more breathtaking sea views. 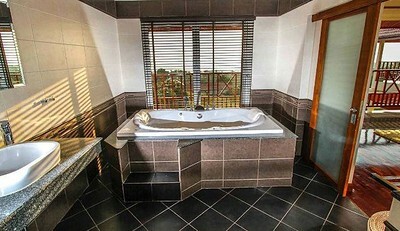 A private terrace allows you time to relax whilst another door lets you escape further into the huge ensuite bathroom which includes shower, washbasins, toilet and also sea views from the bathtub. 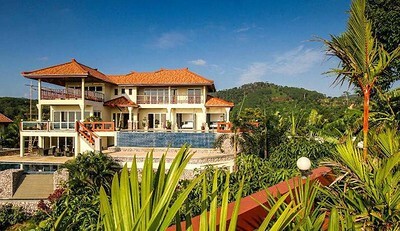 There are 3 air con double bedrooms at the front of the villa. Due to them been on the ground level they also enjoy direct pool access and sea views. 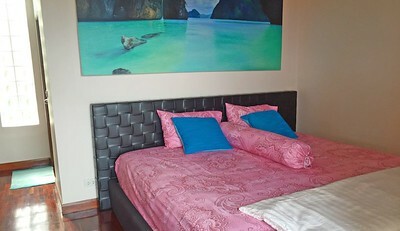 All three bedrooms are air conditioned, have wardrobes and storage space. 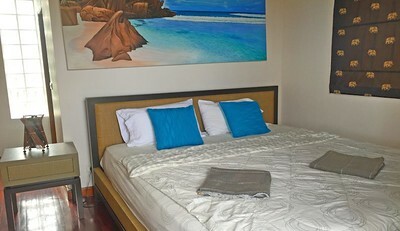 All three bedrooms also enjoy ensuite bathrooms with shower, wash basins and toilets. 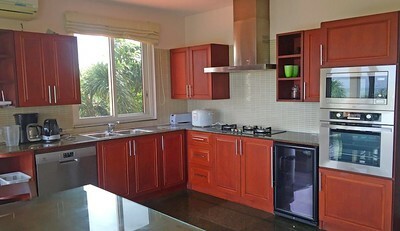 The villa also enjoys a fully equipped kitchen for any family. Plenty of work surfaces for preparation. Including an oven and stove, dishwasher, fridge-freezer, microwave, blender, coffee maker and kettle. The cupboards are well stocked with plenty of utensils, full crockery sets and glassware. 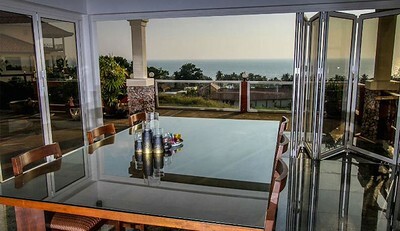 Enjoy an in door dining area with sliding doors opening up to the sea view and letting in the breeze. Relax in the wonderful lounge area with stunning views from every angle of the room which will help you to unwind. Outside is the large infinity pool with cascading waterfall feature. There are numerous places to sit outside and plenty of sun beds for relaxing on and outdoor sofa set surround the large infinity pool and an outdoor shower to rinse off. A sala with more seating stands off to one side. 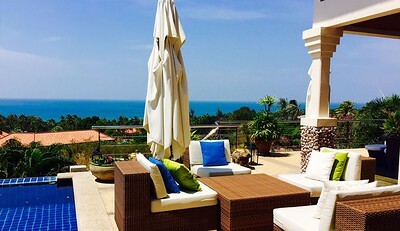 This pool and terrace area with sea views is simply stunning either on a hot day, whilst watching the sunset or in the evening.